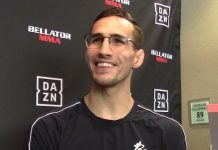 At Bellator 214 tomorrow night, Juan Archuleta continues to push forward on his path to a title shot at the ranks of 135-pounds. 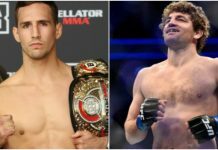 Just a week earlier, however, his teammate, UFC bantamweight champion TJ Dillashaw attempted to capture a title in a second weight class. Dillashaw would drop to 125-pounds as he fought for Henry Cejudo’s flyweight title. Unfortunately for Dillashaw, the fight would only last 32 seconds in favor of the 125-pound champ. 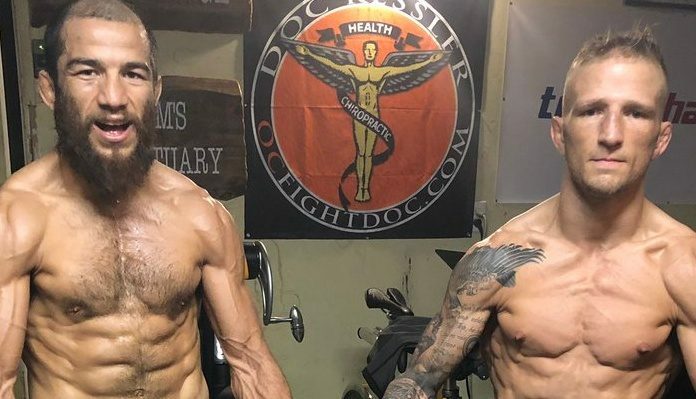 A lot was made before and after about Dillashaw’s groundbreaking weight cut for the fight. Something that Archuleta doesn’t believe played any factor in the fight. 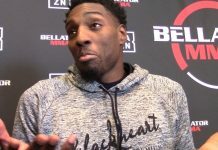 “The weight cut 100 percent did not affect him at all like it’s not gonna affect me come Saturday night,” Juan Archuleta told BJPenn.com at the Bellator 214 media day. “As far as the stoppage, man… It’s very unfortunate. It’s a hard position to be in for one to be a judge or even a referee let alone, but you gotta be educated, man. You gotta be educated with what shots go where, and it’s an equilibrium shot. If you’re talking to an athlete and he clearly understands what you’re telling him to do and he’s diving in for a single leg… We’re wrestlers. Officiating in MMA, whether it be judging or refereeing, has always been critiqued and surely will continue to be for years to come. But that doesn’t mean that it makes the fighters more comfortable having their fates potentially decided for them. Juan Archuleta reiterated how it comes down to educated officials. “If the referees were switched, Glover would have got… Who knows what [the ref] would have done,” Juan Archuleta said. 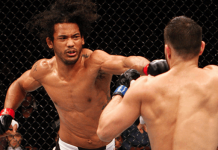 “Maybe he was more educated with Jiu-Jitsu and would have let Glover fight out of it. But who the hell knows, man. 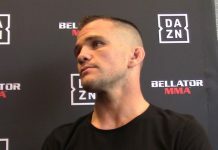 Juan Archuleta faces Ricky Bandejas tomorrow night at Bellator 214. Dillashaw will also be in attendance supporting his teammate.